In November 2017 has appeared the publication Homenaje a Glòria Trias Rubiés. 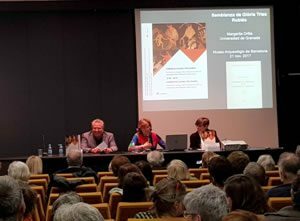 Cerámicas griegas de la Península Ibérica: cincuenta años después (1967-2017), realized on the occasion of the fifty years of the edition of the book of the Dr. Glòria Trias Cerámicas griegas de la Península Ibérica (Valencia 1967). 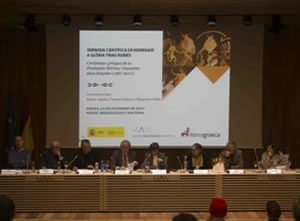 This publication has been part of the Homage events held at the Barcelona headquarters of the Museu d'Arqueologia de Catalunya on 21 November and at the Museo Arqueológico Nacional on 14 December 2017 in recognition of the academic and research career of Dr. Trias.